To ensure you're getting the most accurate results from your yield monitor, consider these tips for calibrating the mass flow sensor. Chad Dane, a farmer from Clay County, Nebraska, discusses his experience using cover crops in a corn-soybean rotation on this week's UNL BeefWatch podcast. Figure 1. Two runs of the experiment (front, just beginning second run; back, just finishing first run) conducted in the greenhouse at the Pesticide Application Technology Laboratory at the university’s West Central Research and Extension Center in North Platte. The objective of this study was to evaluate the competitiveness of three herbicide-resistant Nebraska waterhemp populations with soybean in a greenhouse environment. The results indicate the importance of enhancing early-season crop competitiveness. Figure 1. UNL variety trials conducted in eastern Nebraska are an important process to help guide grower’s variety selection. Winter wheat growers in eastern Nebraska will want to check out the newer winter wheat varieties described here as well as a table of comparable traits to aid in selecting a variety best suited for their operation. When negotiating, knowing when and under what conditions you should walk away is critical to your success. Here's how to use BANTA the next time you negotiate. A new series of Nebraska Extension farm/ranch transition workshops is designed for the "sandwich generation," the one falling between retiring grandparents and the grandchildren who may or may not be interested in returning to the operation. The workshops will cover family communication and financial and legal aspects. As we begin to harvest corn in Nebraska, on-farm storage may be needed. A recent article from South Dakota State University Extension summarizes potential insect pests of stored grain and actions to take to minimize damage by stored grain insects. Cutting alfalfa in October is often discouraged to avoid potential winter injury while it is winterizing. This year, however, you may find you have a substantial amount of high-quality alfalfa that can be safely cut. Here's what to consider. Researchers from USDA, UNL, and other land-grant universities are working together to help identify traits to improve dry bean quality in Nebraska and worldwide. Nebraska soybean stocks are up 77% from a year ago while corn stocks are down 19%, according to Friday's Grain Stock Report from USDA National Agricultural Statistics Service. Topics on the Sept. 28 Market Journal include identifying and managing corn stalk rots, recommendations for retaining soil water, the upcoming Grassland Seminar Series, an analysis of the cattle market, and next week's forecast. 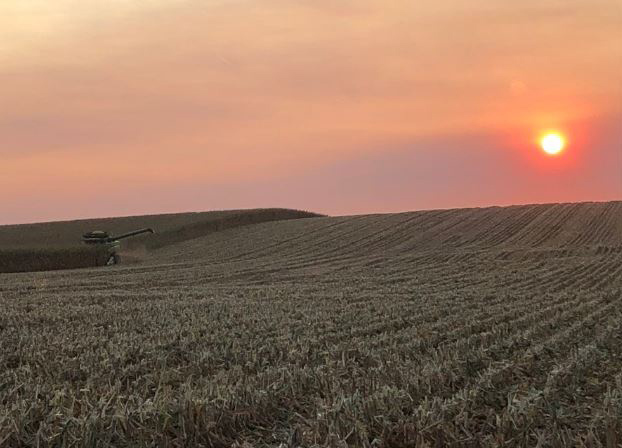 As weather allowed, crop harvest continued and was slightly ahead of the five-year average, according to USDA's National Agricultural Statistics Service Sept. 30 report.